You can't go without body moisturizers. Really. Would you go without hydrating your face? I thought not. Well, your body needs hydration just as much to prevent wrinkling, sagging, or flaking. So while any body lotion might do, there are some that go above and beyond the call of duty. I have a few favorites I keep in rotation year after year that I want to tell you about. 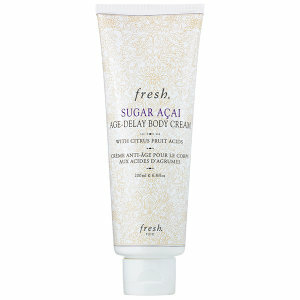 Fresh Sugar Acai Age-Delay Body Cream is my absolute favorite. It figures that it is also the most expensive. It is an indulgent cream of medium thickness that delivers a multitude of benefits. 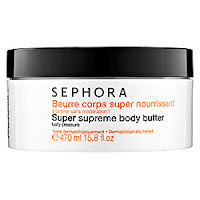 It has sugar and fruit acids for natural exfoliation to keep your skin smooth, and almond protein to lift and firm (you need to use it twice a day, everyday for any real firming to occur). Of course there is the star ingredient Acai which is a super anti-oxidant to protect the skin and help slow down the aging process. Most of all I love how it feels - utterly sumptuous. On the other hand, the Sephora Collection Super Supreme Body Butter is in a huge tub so you really get a good value. 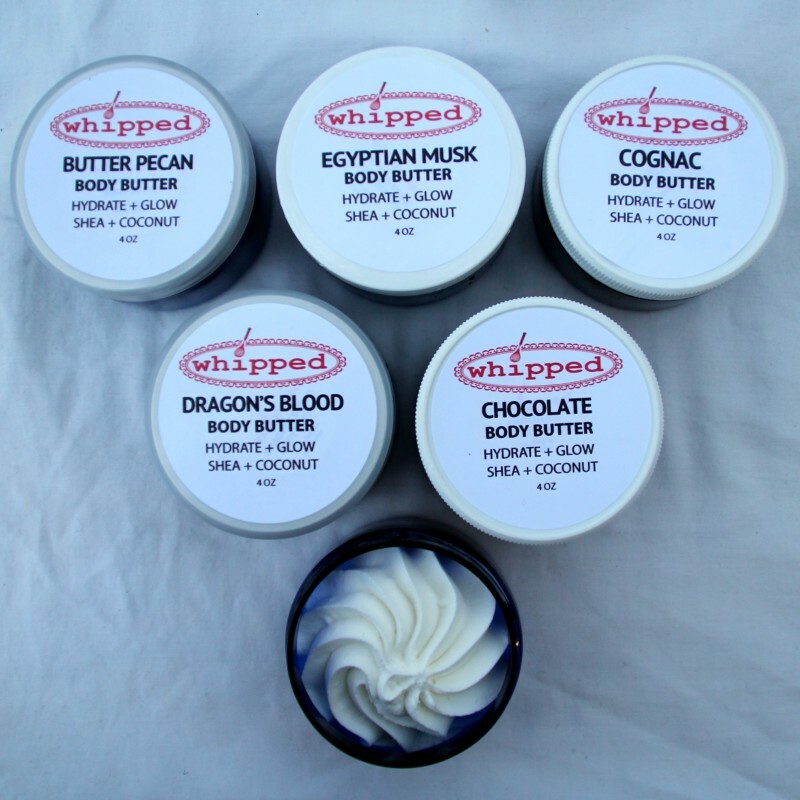 It is the most hydrating body butter I know that absorbs easily and doesn't feel sticky or greasy. I enjoy the floral scent but it also has some heavy-hitting hydrators in it like shea butter, HydroSenn+ and hyaluronic acid. If you have moderately to extremely dry skin this is the product for you, and I find it especially soothing to apply on freshly shaved legs. It is also nice that it is paraben, sulfate, phthalate, GMO, and Triclosan free. Philosophy Amazing Grace perfumed firming body emulsion is just lovely. It is wonderfully hydrating with a light-weight consistency. 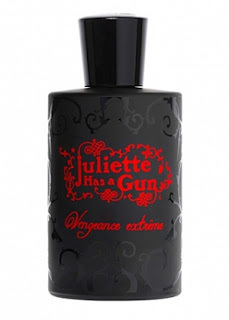 I don't notice that it firms too much but I am crazy about how it feels and smells (light, fresh, and feminine with a hint of bergamot and flowers). I frequently give this as a gift and my friends always ending up buying more for themselves once my gift has run out. Also fun: it has an inspirational, philosophical quote on the front of the bottle about aging gracefully. 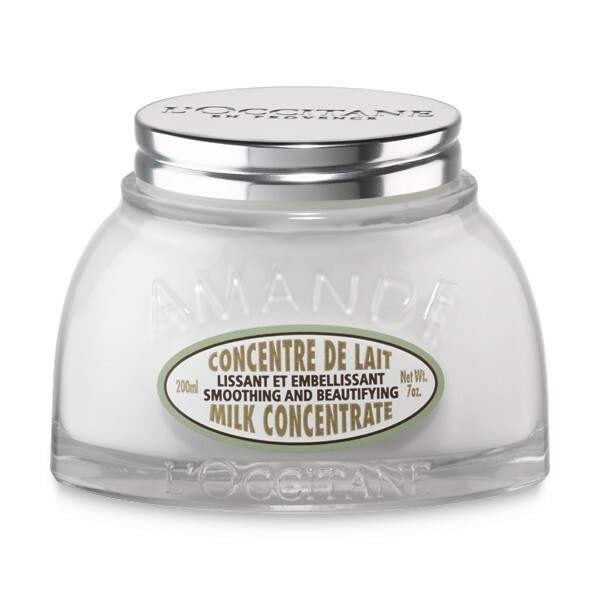 L'Occitane Almond Smoothing and Beautifying Milk Concentrate makes your skin as silky as can be. Not only do the almond oils smell divine, hydrate exceedingly well, but they are also tightening. Way to go! It absorbs immediately and I use it all over my body, even in places that don't need tightening just because I love how it feels. L'Occitane is a natural brand of skincare from the Provence region of France that gets nothing but rave reviews. Also paraben free! 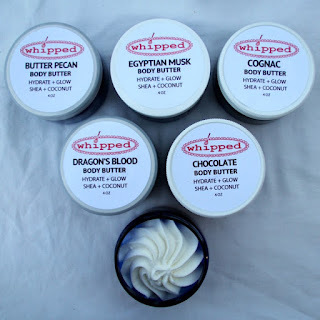 I WANT TO TRY: Whipped Goods plant-based and hand crafted body butters. Butter is the key word here. Apparently they are fluffy and rich as mousse desert. I can't decided which to order, the Egyptian Musk or Sandalwood Bourbon - I better do both!